In addition to the Beyerdynamic DT 240, we had a good time reviewing the Aventho Wireless. These Aventho Wireless are about the same weight as the one that I most recently reviewed, and besides the Bluetooth capability, there are some differences. So, you will notice the design, and I suppose that I could describe it as minimalist, but in a very classy way. The earcups barely cover the ears, assuming that I have regular sized ears. 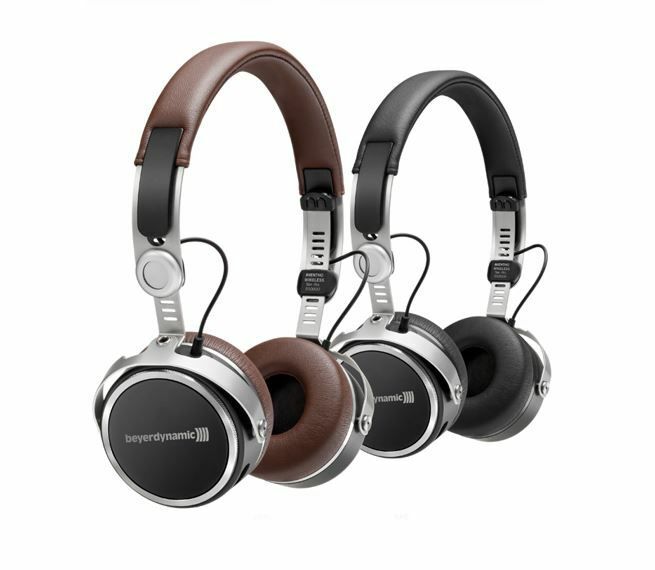 Beyerdynamic says that the sound adapts acoustically to the user’s hearing, but I am not certain how adaptable it is. Apparently, the sound quality is thanks to Tesla, but I am not certain how that applies either. It does use Mimi technology, which is apparently used by one million people. Yeah, I don’t feel right not knowing what that is. One thing that I find most interesting is Beyerdynamic has offered a MIY application which is able to create a sound profile, track daily listening habits, not to mention adjust the sensitivity of the touchpad. What touchpad? Oh, I probably should mention that the volume control of these headphones is on the right side, which you can discover pretty accidentally. All it requires is a slide of a touch. Oh, it comes with a microphone, so that’s good for taking some phone calls while you are listening to music. You should be able to purchase the Aventho Wireless on the Beyerdynamic site for about $449.00.